Your Garden will "POP" with Excitement! 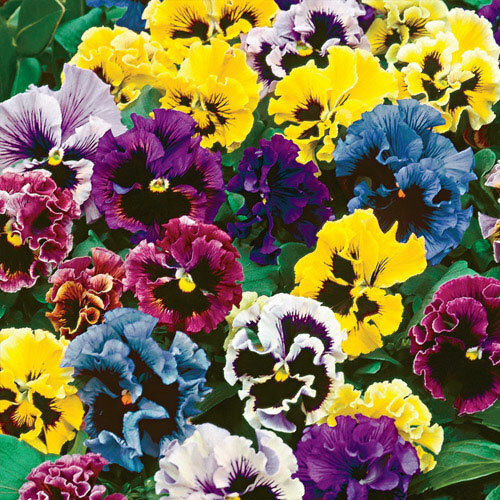 Large, heart-shaped foliage surrounds these ruffle-edged pansies. Set atop short but sturdy stems, enjoy the sizzling early color from spring to summer. Foliage TypeLarge, heart shaped, dark green. 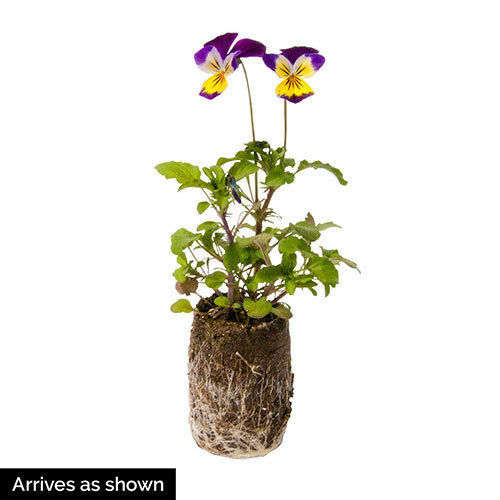 Flower Form3'' pansy like but with ruffled edges. Growth RateSlow once established which takes approximately 3 - 4 weeks. Winter CareIn cooler climates mulch is recommended. Applied after ground has frozen. Remove in early spring before growth starts. Planting InstructionsSet at the same level they are growing at in the container, firm well and water in thoroughly.